At Jai Mica, Mica Blocks are available in a wide range of sizes like ruby mica blocks, green mica blocks and can be cut according to the specifications required by the clients. We employ a team of highly skilled technicians who manually grade and cut the mica blocks to ensure zero-defects in the finished product. These blocks are fabricated into a myriad range of products having numerous applications in diversified fields. The dressed sheets of mica with a minimum thickness of each sheet 0.18mm (0.007 inch) is called Mica Blocks. It is graded according to the quality as Clear(CC), Clear & Slightly Stained(CL&SS), Fairly Stained(FS), Good Stained(GS), Heavily Stained(HS) and Densely Stained(DS). 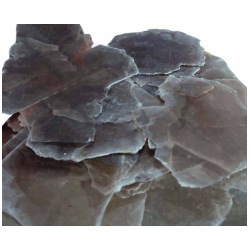 Mica sheets are available in irregular shapes due to natural occurrence and are obtained in between the area range of 4.8 sq.cm to 650 sq.cm (0.75 sq. inch to 100 & up sq. inch). Average sheet thickness of each mica blocks varies in between 0.18 to 0.40 mm (0.007 inch to 0.016 inch). We offer Mica Sheet Blocks to our clients. These are mica block no. 5, of good stained quality. We employ a team of highly skilled technicians who manually grade and cut the mica blocks to ensure zero-defects in the finished product. These blocks are fabricated into a myriad range of products having numerous applications in diversified fields. 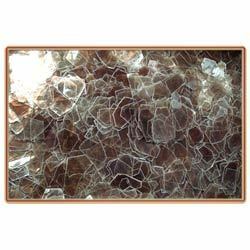 These are various sizes in which mica blocks are available. Starting form the smallest (no. 6) to special mica blocks. We offer Crude MIca Blocks to our cliens. This is the unfit form of mica block. the edges will be cut out & a thin layer will be picked up from both faces to give it a smoother look. Since mica is fragile at the edges, this smoothing process makes it more firm all around the edges. We offer Mica Blocks to our clients. 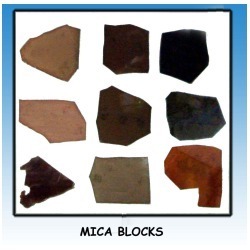 These are the mica blocks of various different origins in India. 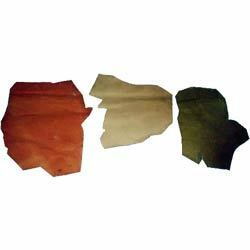 They all have mostly similar properties besides the color & temperature resistance. Their dielectric properties differ too. ruby mica is the most sustainable in all forms across all types. We offer Ruby And Green Mica Blocks to our clients. Three different variants of mica block colour-wise: ruby mica blocks, green mica blocks, crude ruby mica block respectively. Looking for Mica Blocks ?